We finally found a food that Annabella likes! So far we've tried bananas, sweet potatoes, and green beans and have had no luck with any. At least with green beans she sort of tolerated for it a few days, until she figured out that she could spit it back out at me with what seems like supersonic force! 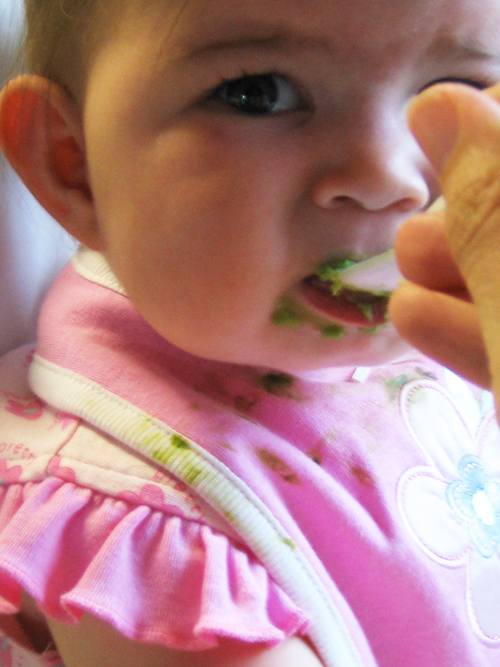 So yesterday we tried avocado and she actually likes it! Unfortunatly for us, we're not in CA where avocados are more readily available (read: cheaper!). 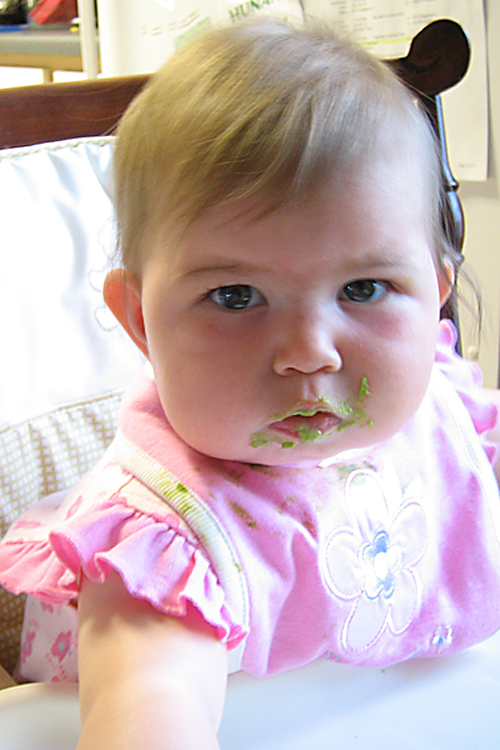 But at least we're no longer afraid that she'll never eat solids!